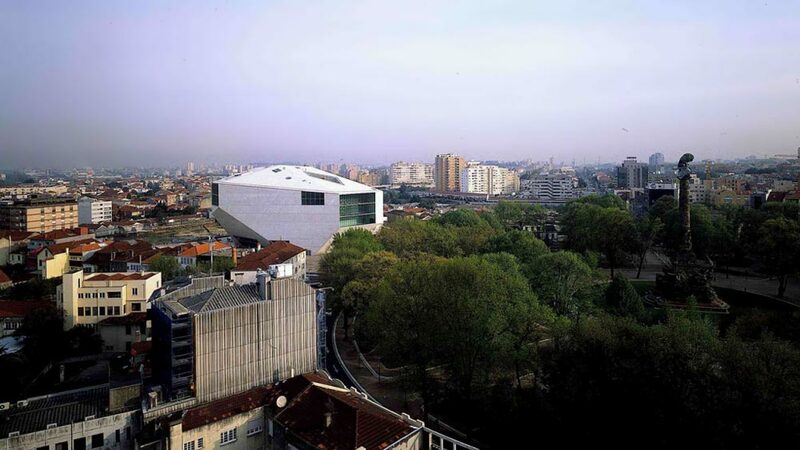 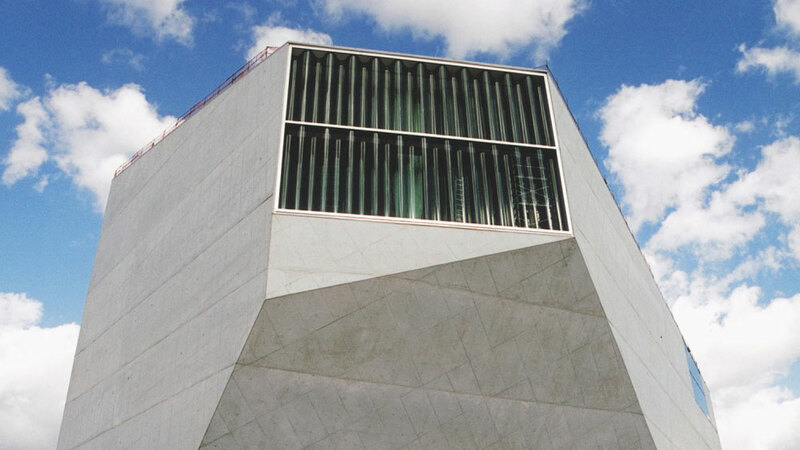 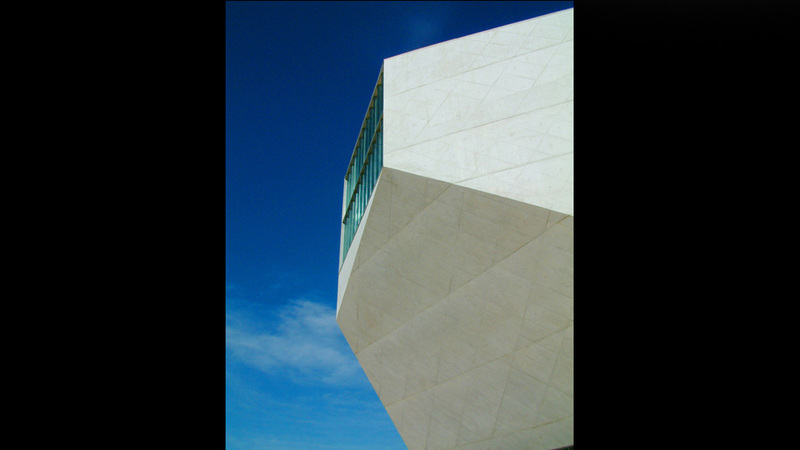 Casa Da Musica is made out of a skin of shining white concrete folded into a prismatic wrap. 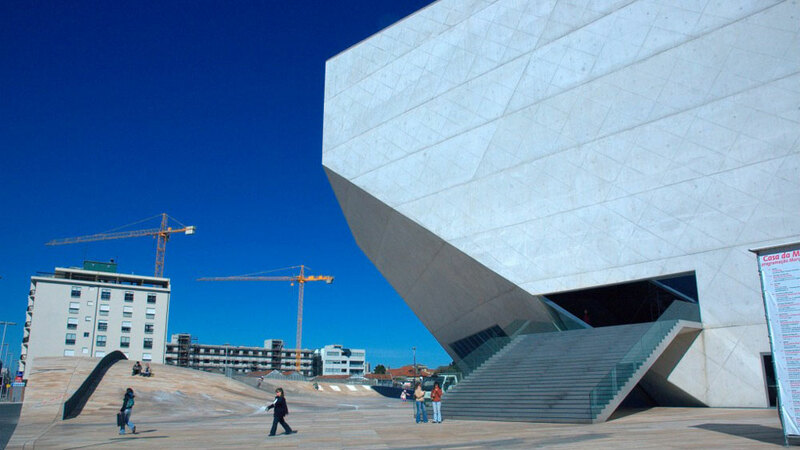 This skin, which is its structure, orbits the concert halls, holding the entire void together. 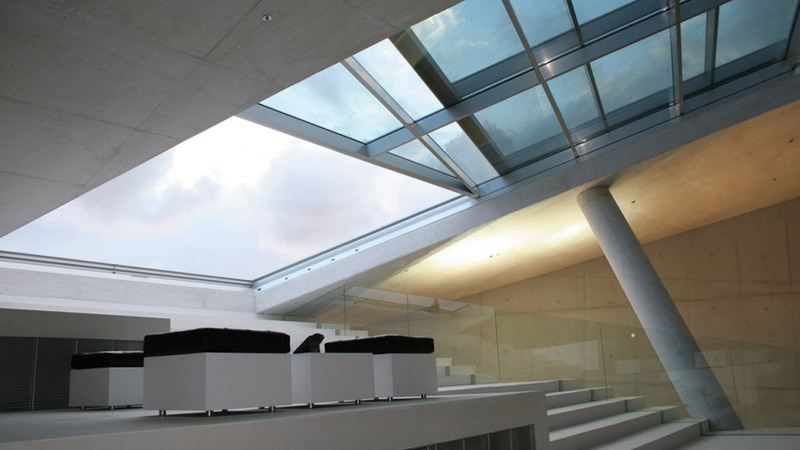 The glass ripples in waves to break up the surface for acoustic reasons. 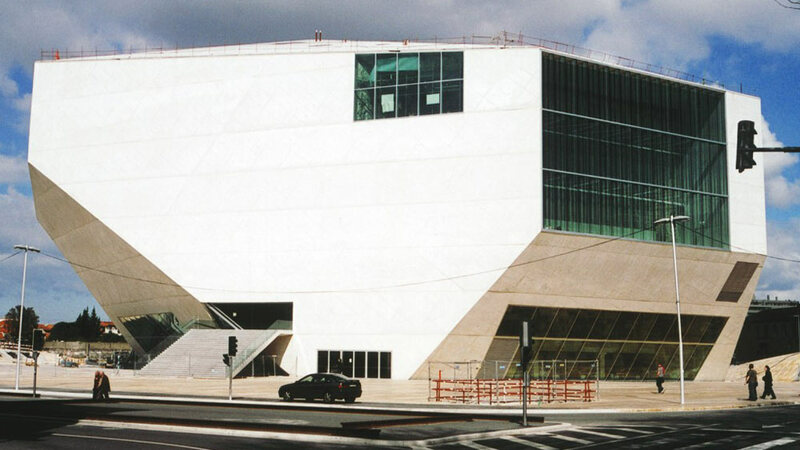 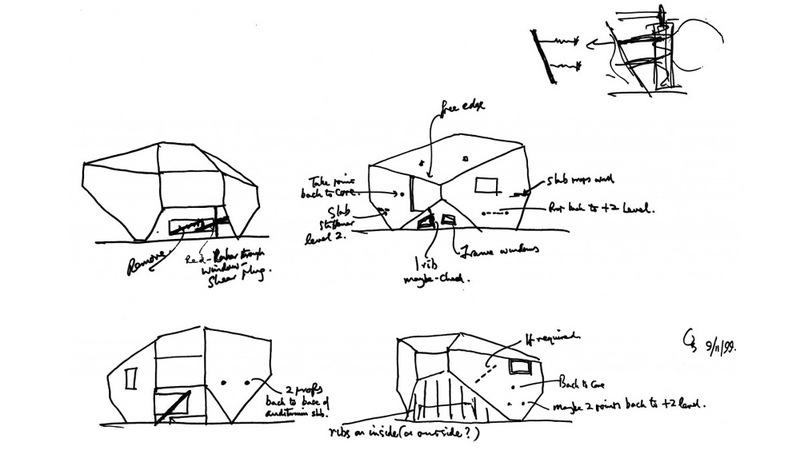 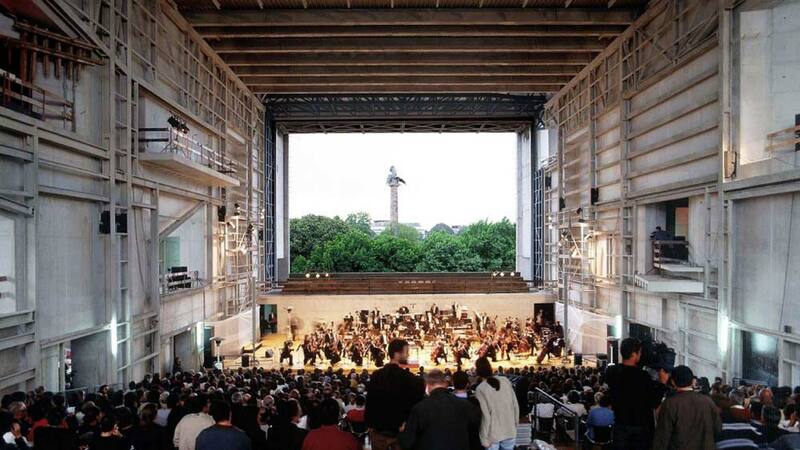 The two shoe-box shaped concert halls stand separate, structurally isolated yet suspended within form, with the main auditorium detached from the surrounding structure and the overall trapezium shape penetrating the car park levels.